Life is about evolving. Don’t stay in a situation that’s not helping you grow mentally, spiritually, and emotionally. As long as you are moving forward you are on your way. If you’re not growing in different ways then it’s time to challenge yourself so that you are! Make both big and small goals and then make changes and challenge yourself until you are growing (and feeling better) both physically and mentally! 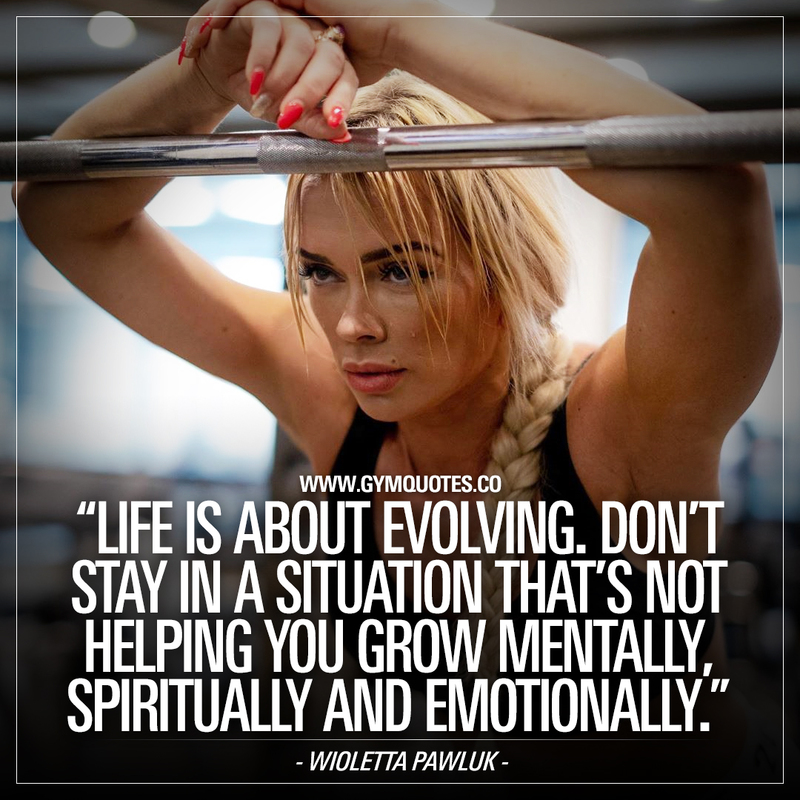 Make sure you share this Wioletta Pawluk quote if you like it! Do you like the inspirational gym and fitness quotes on our site and all our own original motivational gym quotes? Then there’s only one thing for you to do: follow us on social media!